For over 20 years, Peak Construction has offered top-quality, professional construction services. 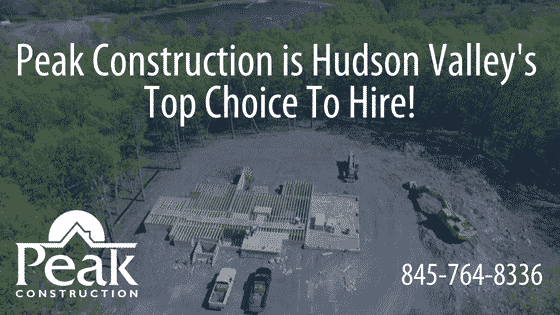 Give us a call if you are looking for trained, insured, certified construction, remodeling, or home building services in the Hudson Valley, NY, area. Peak Constructions is a member of the Better Business Bureau, the National Association of Home Builders, and the Builder’s Association of the Hudson Valley, to name a few. Give us a call to discuss your home improvement or repair needs. Home additions may seem like projects you can do on your own but hiring someone who knows the local building codes and safety regulations will save you money and stress in the long run. Our team provides the know-how and attention to detail that only years of experience can provide. We are aware of traffic patterns, room flow, closet space, and layout to make sure your home addition turns out just the way you want. We work with your bank or mortgage company to track expenses. We also act as a liaison to the building inspector, making sure your project is up to code. Before the project is finished, we offer education about the maintenance and use of any appliances we install. The most important thing to know about mold is that it won’t be eradicated without eliminating the underlying moisture. Other services that advertise complete mold removal are bluffing. Mold spores are microscopic and airborne, traveling into your home on clothes, pets, even the breeze. The way to get rid of mold is to repair the leak and remove the water source. We offer 24/7 emergency service, because we understand how dangerous mold can be to your health. We tackle your mold problem professionally and efficiently, before it starts causing bigger problems. To read even more about mold facts check out this blog. Our company has seen a demand in new home construction from our customers. It is not surprising considering the quality and craftsmanship that we put into our remodels and additions. We work with our customers every step of the way to provide them with a bespoke home. We offer design and construction services. Alternatively, we will work from any plans you already have from you own architect. Our expert team takes care of every step of the construction process, from foundation to roof. One of our latest new homes in La Grange, you can find on our portfolio.